Since it was founded, the Medical University of Gdańsk is the Alma Mater of 35 thousand graduates. 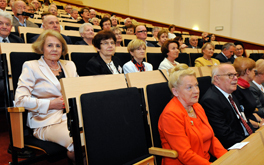 Among them are exceptional scientists and key figures in Polish society and politics. Each of MUG’s faculties can be proud of the achievements of its graduates. 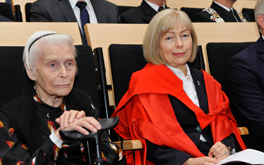 Among MUG alumni are Professor Dame Anna Dominiczak (Vice Principal and Head of College of Veterinary and Life Sciences at the University of Glasgow, daughter of prof. Joanna Muszkowska-Person and prof. Jakub Penson), Olga Krzyżanowska (former Deputy Marshal of Sejm and Senator) and Marek Balicki (former Minister of Health). 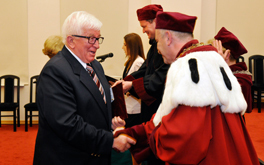 Many alumni stay connected with MUG life by getting involved in the Association of Graduates, which was founded in 1994 thanks to the initiative of prof. Brunon Imieliński as part of the celebration of MUG’s 50th anniversary.